FLO will also offer new Nissan Leaf buyers a free access card to its charging network, which it calls the largest in Canada. Nissan is offering new Leaf buyers in Canada home charging stations at a discount just as the electric vehicle market starts to get a little more crowded. The automaker is partnering with FLO, which specializes in EV charging and operates has more than 3,000 charging stations across the country. Nissan will offer a $500 discount on the FLO home charging station to every buyer of a new Nissan Leaf from participating dealerships between Jan. 20 and March 31, 2017. FLO will also offer new Leaf buyers a free access card to its charging network, which it calls the largest in Canada. “The EV market in Canada and specifically in the province of Quebec is already becoming more competitive and this will only increase in the next few months and years with the launch of new EVs from our competitors,” Nissan told Automotive News Canada in a statement. There will be about 22 EV or plug-in hybrid models from about 14 manufacturers available in Canada in 2017. Leaf sales in Canada have increased four consecutive years. Nissan sold 1,375 in 2016, up from 240 in 2012. The top three provinces for Leaf sales are Quebec with 862, B.C. with 284, and Ontario with 212. All three provinces offer rebates to EV buyers. 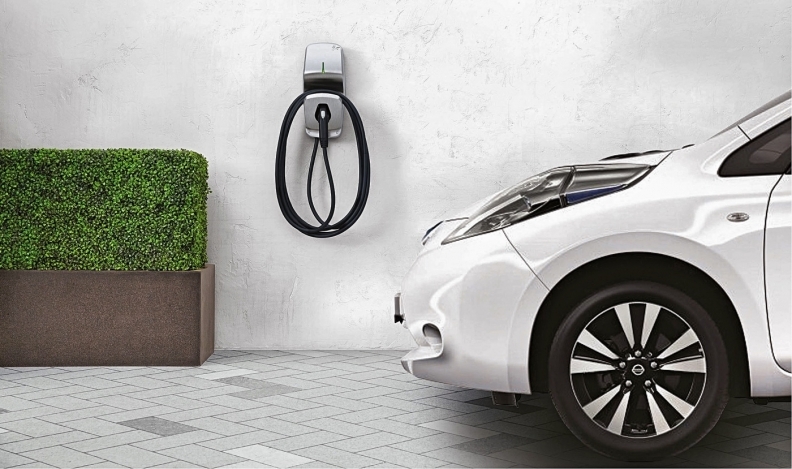 Nissan and FLO estimate that more than 80 per cent of EV charging occurs at home. “This is why our partnership focuses on the most important type of charging,” the company said. John Groves, the manager of education and outreach for Plug ’N Drive, a non-profit organization committed to accelerating the adoption of EVs, called the deal a great partnership. Groves said it is eventually going to take private business and partnerships like the one between Nissan and FLO, which is owned by AddÉnergie of Québec, to expand the EV market and charging infrastructure in Canada. Ontario, for example, said in 2016 it will spend $20 million to build nearly 500 EV charging stations at more than 250 locations in the province in 2017. Canadian Minister of Innovation, Science and Economic Development Navdeep Bains told Automotive News Canada he and Minister of Environment and Climate Change Catherine McKenna are working on how best to spur EV demand in Canada.